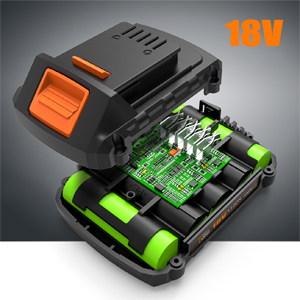 This powerful 2.0 Ah lithium-ion battery is fully charged in just 1 hour.With this battery the PCD04B, drill driver develops a maximum torque of 35 Nm. 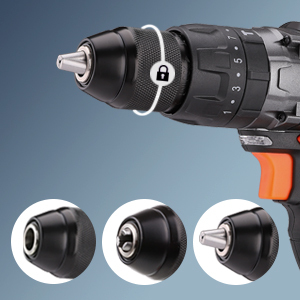 Robust all-metal gear design with 13mm metal chuck without chuck key for easy one-handed change of screwdriver bits and drills. 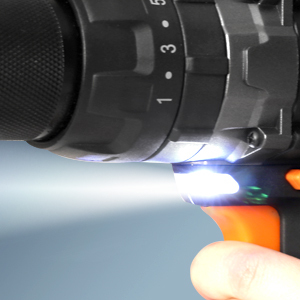 The integrated LED illumination allows optimal illumination of dark working areas, while the display shows the current capacity of the battery. 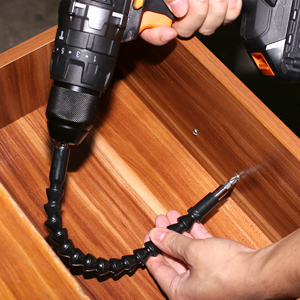 With a flexible hexagonal drill you no longer have to annoy over places that can not be achieved with a chuck. 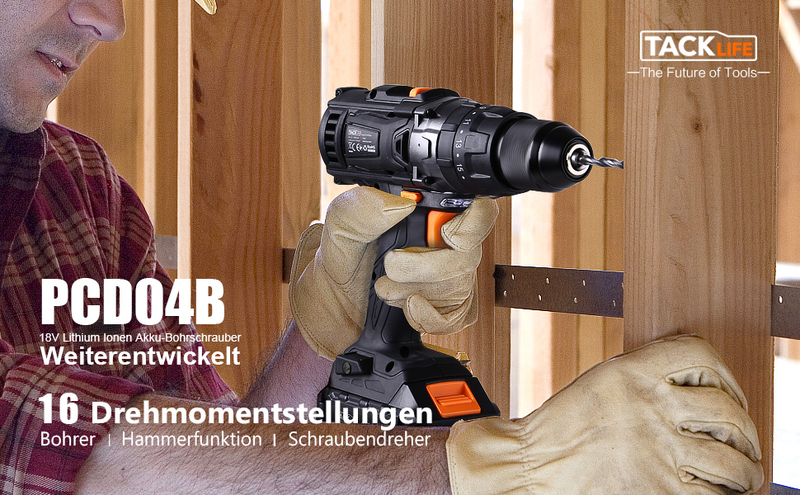 Activate hammer mode for effortless work. The maximum drilling capacity is 30 mm for wood, 8 mm for cement and 13mm for metal. 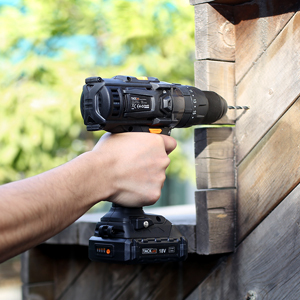 With powerful motor for robust and durable drilling performance, ideal for home projects and rough site conditions. 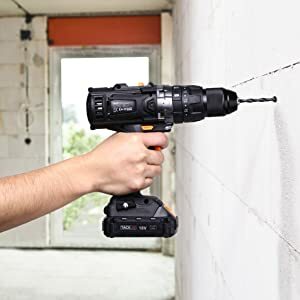 3 drills for wood (4 mm, 5 mm, 6 mm) and 6 drills for metal and cement (2 mm, 2.5 mm, 3 mm, 4 mm, 5 mm, 6 mm). 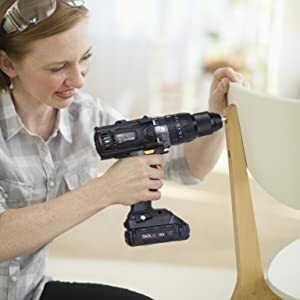 32 screwdriver bits (T * 2, TH * 9, SL * 5, PZ * 5, H * 5, PH * 6) help with almost all tasks at home. The soft grip surface gives a pleasant feeling even in demanding work.